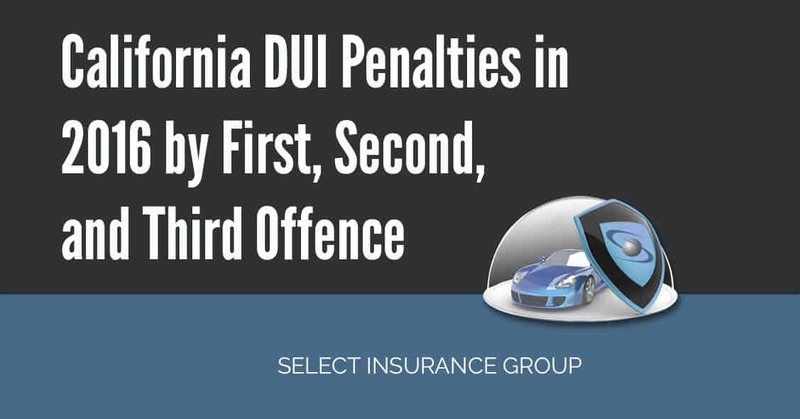 California DUI penalties in 2016 by first, second, and third offence – DUIs across America have earned the reputation to be among the highest causes of deaths in auto crashes reported for the past several years. The DMVs and courts strive to ensure that people drive while sober and those who driving after drinking are punished as befits the offense. According to record an approximated 10,327 deaths occurred in the state of California in the period 2003-2012 as a result of drunken driving. That means about 1,033 people died every year. The dangers of driving while under the influence cannot be over emphasized. What preliminary information do you need to know? It is important to know that drinking coffee, taking cold showers or whatever other methods you may have heard about will not sober you up. The only way to sober up is by passage of time. Therefore if you decide to drink and drive, you may need to remember that despite a ‘near frozen shower’, chances of getting caught with a DUI offense are very high and it is probably better to just wait it out until the alcohol is out of your system. Be a person over the age of 21 years and have a BAC of .08% and above. Be a driver of a commercial vehicle with a BAC of .04% and above. Be a minor (person below 21 years) and have a BAC of .01% and above. If you are below 21 years, be warned that California operates on a zero tolerance law for minor DUIs and your age will not be defense in court. Read on to understand what you will be contending with in case of a DUI. First time offenses earn you a 1 year license suspension. A third will earn you 3 years suspension. Note that previous convictions of a wet reckless charge could drastically change your suspension. This is by causing an increase on the time of your suspension. If you are caught with a DUI in California, the look back period that will be used to determine if it is a subsequent DUI is 10 years. What this mean is that if you have not committed a DUI within the past 10 years it will be treated like your first record. However, if you have had another DUI within the past 10 years, then it will be treated as a subsequent offense. For instance, if 5 years ago you had a DUI incident and you are arrested today for another DUI, the court will consider this a second offense and will therefore penalize you accordingly. If however, it happened 10 years and 1 day ago, then effectively, your records have been wiped clean and you will be treated as if this is your first offense. One may get lucky in California and get a plea bargain from a DUI to a reckless driving, if you can prove that the DUI was border-line and was not completely above .08 or .01 depending on the age of the person. A wet reckless plea is a bargaining plea. And what it does is reduce the seriousness of your offense. Meaning if you are charged with a wet reckless your records are a little safer than if it was a DUI. However, for you to have your charges reduced, you must argue well for your case. If you have been caught with a DUI in California, you previous offenses pretty much determine exactly how you will be handled by the courts and DMV. The following possible situations you will find yourself in if you decide to DUI. An immediate suspension of your driving license. You may be behind bars for a period not exceeding 6 months. You may have to pay fees amounting to $1,000 in fines. You may have to pay $125 to have your license reinstated. You may have to acquire a SR22. You may have to attend a DUI/DWI education program. The court may require you to install an IID in some counties. You may go to jail for 10 days to 1 year. You will have to pay a fine of not more than $1,000. You license may be suspended for up to 2 years – but conditions, challenges and your remorsefulness may help this period reduced to at least 1 year. You must install an IID. Go to jail for a period of 4 months to 1 year. To have your license suspended for 3 years. An automatic suspension of your driving license. You will most likely be required to attend a DUI education program. This program teaches you on the behavior of the body when under the influence of alcohol and the possible consequences of DUI. You will have to install your car with an IID. You must file for a SR22 requirement. If you are under the age of 18 years, be warned, any traceable alcohol in your system will automatically get you booked for a DUI. California has a strict ‘no tolerance law’ for minors. Effectively any DUI incident will have your license suspended under the per se administration penalties. These penalties authorize the arresting officer to immediately suspend your license the moment they establish you are Dui and are under the age of 21 years. Subsequent DUIs will be dealt with as and when they arise. Note: The courts carefully examine the circumstances and penalize you accordingly. Your previous DUI will automatically mean that the subsequent penalty is delivered with the same severity as the offense. NOTE: IID refers to Ignition Interlock device. It is a breathalyzer device installed in your vehicle to ensure that whenever you try to turn on your car, you must breathe into it to turn the car on. However, if your BAC is above the prescribed levels, the car will not turn on. You therefore have to wait until your BAC goes down. BAC refers to your Blood Alcohol Concentration and is the state prescribed levels of alcohol concentration that should be in your system whenever you are operating a motor vehicle. Your BAC levels are determined by a lot of variables. For instance; your weight, your gender, the time taken between drinks among other variables. If a person is staggering is experiencing slurred speech or seems obviously intoxicated or not is of no consequence. Once the chart shows one has exceeded a certain limit, then they are DUI. For a commercial driver, the first DUI will earn you a 1 year license suspension. However, a subsequent DUI will earn you a 10 year suspension on you CDL. The law recommends steeper punishments for you if you drive with a child of the age of 14 and below, if you speed over 20mph on street surfaces and 30mph on the highway while DUI. These automatically increase the fines payable, and the license suspension. 3 prior convicts will drastically change your DUI charges into a felony and a subsequent change in penalties instated against you. Have been driving while intoxicated; either by alcohol, controlled substances or prescription drugs. Commit negligence; ordinary or gross negligence. Out of all those circumstances lead to the death of a person. For you to understand the penalties, you need to know you will be charged under gross or ordinary negligence. If you are charged with gross negligence and are found guilty, then you are guilty of gross vehicular manslaughter while intoxicated. The court will send you to jail for a period of between 4 to 10 years. If you are found guilty of ordinary vehicular manslaughter you may be a little lucky. This is because it is a wobble in California law. Meaning it is an offense the prosecutor (depending on your circumstances and criminal history) can file as a misdemeanor or as a felony. If you are charged under misdemeanor, then you may go to jail for a period of up to 1 year. You may also be required to pay other fines. This is determined by the court at it discretion. If the charge is treated as a felony, then you may have to go to jail for a period of 16 months to 4 years. All these circumstances, whether they are first, second or third violations get your license suspended. As a general rule, the suspension will not be lifted unless are able to prove that any financial obligations arising from an accident you are involved in will be met. That requirement is a SR22. Your insurer will have to draw the SR22 for you. If however they do not offer high risk insurance, you can seek the services of other insurance services. A lot of people are misinformed about what a SR22 requirement. However, there is an endless debate as to the costs of the SR22. Be informed that SR22 requirements are not expensive. However your SR22 requirement automatically forces your insurer to review your insurance premium in the future. This is basically because your requirement has pushed your from low level risk to high level risk. You can take a breather though because this is our specialty. While SR22 requirements can be mind boggling to some people, including some insurance providers, we pride ourselves in the fact that this is our area of “jurisdiction’ and we are therefore highly qualified to deal with your situation. While we do not advocate for DUI, we realize that sometimes terrible turn of events occur and suddenly, even for the safest driver things get murky. If this is your situation, we would like you to understand that we are not going to throw stones at you; rather we would like to help you with your situation. It is not ideal for you but yes we can handle it. All you need to do is fill in our very easy quote form and in an instance help will be available for you. We are keen to ensure the hardship of the DUI does not go further than it already has gone. Reach out for us. We have quick and painless solutions for your high risk insurance needs. As a final thought, imagine killing a child. Also imagine that child is yours. Now, imagine you killed your child because you have been drinking and your thinking or your response time was too impaired by the alcohol in your body. If that thought has given you a scare, then you need to remember it every time you drink and get into your car to drive. Anyone who is killed by a drunk driver is someone’s child. Never forget. Older Can a person who has no vehicle have SR-22 ?